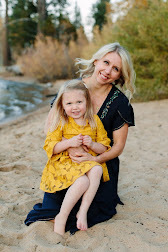 Living in Tahoe we have the great outdoors at our fingertips and being minutes away from hiking, biking, skiing and the lake means the adventures are endless. This past weekend I finally took a few days off and enjoyed a mini staycation. 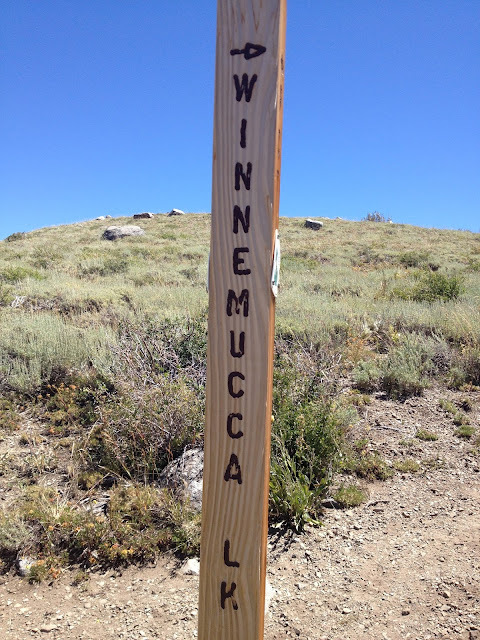 Thursday, I took my brother on his first mountain bike ride and Friday Nick and I went for a short hike to Lake Winnemucca. 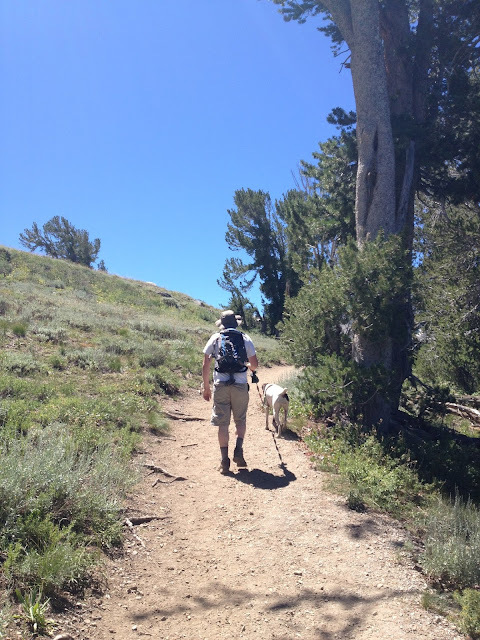 We packed up the car, picked up sandwiches from Lira's Supermarket and headed out to the trailhead. Location: Carson Pass -- about 30 miles southwest of South Lake Tahoe. The trailhead is next to a parking lot on Highway 88. We were a little late for the wildflowers, but the views didn't disappoint. Of course I had to snap a photo of Roxy and I at our destination. Once at the lake we found a spot for lunch and Roxy went for a swim. 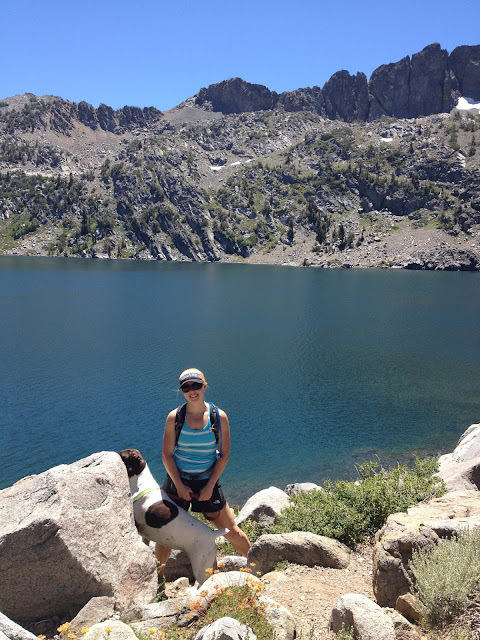 Psst: Check out Schue Love's post about hiking Lake Winnemucca with her one year old, hubby and golden reteriver. So beautiful! I wish we had gotten to tahoe in the summer months while we were west coasters!